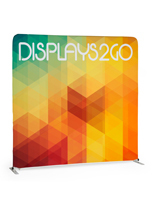 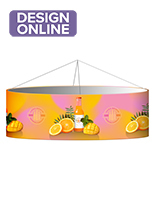 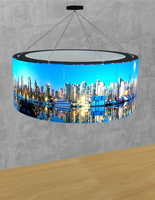 On the hunt for a bold display perfect for a trade show or convention? 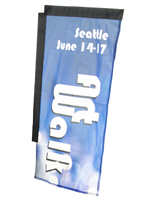 Our dye-sublimation flags come in a variety of styles and size options that can be customized to fit your needs. 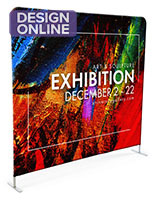 This printing process combines the best of both worlds — each banner will have the richness in color from silk-screening as well as the detailed finish saw with digital printing. 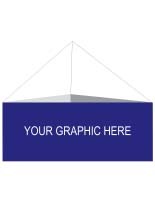 The artwork that you provide us is printed onto transfer paper with the reverse image of your final graphic. 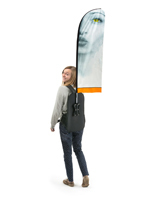 Then, the image is transferred with a heat press onto polyester fabric. 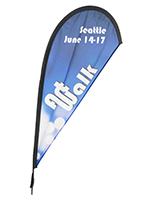 While the material is heated to 375° F, the dyes turn into gases which infuse and harden into the feather flag's fibers. 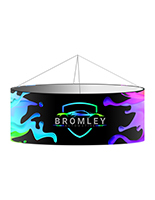 There are no minimum order requirements for our custom dye-sublimation flags making them ideal for trade shows and conventions. 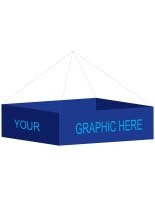 Attendees don’t have to worry about hitting an order quota — they can purchase what they need and have it exactly as they want! 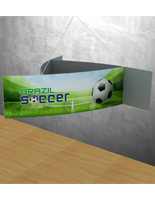 What types of dye-sublimation signage is available? 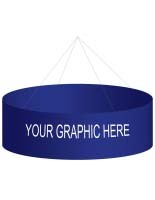 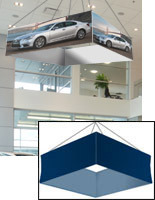 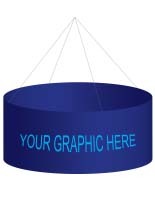 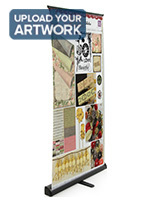 Dye-sublimation flags are available as hanging banners structures. 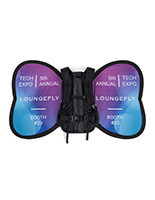 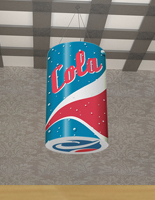 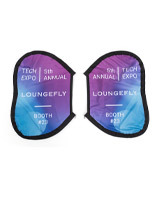 These eye-catching fixtures are ideal for any trade show exhibit or convention. 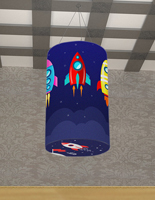 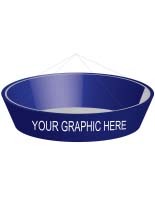 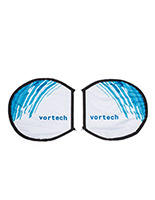 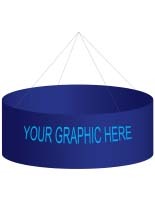 They come in different sizes and shapes including round, triangular, and square banners. 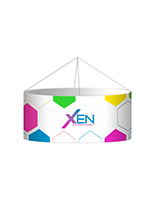 The fabric is built to stretch, revealing a bright and bold design that can be seen from a distance. 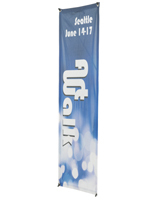 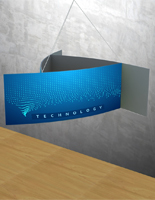 Portable retractable banner stands are height adjustable and are ideal for any temporary exhibit. 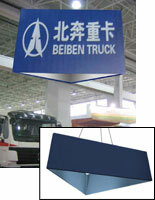 These are often found at expo centers or shopping malls as display fixtures. 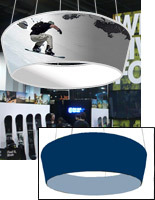 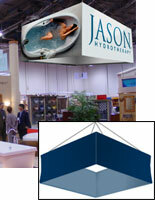 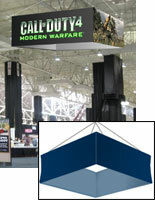 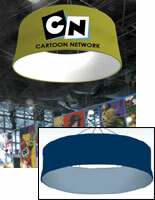 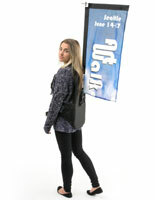 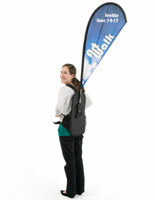 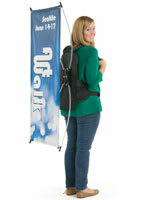 Other trade show display structures like backpack banners and countertops are available with custom signage as well. 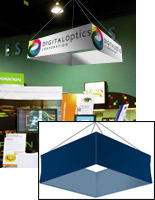 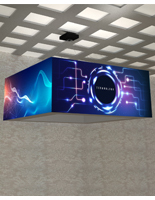 Custom square panels are used as backdrops for trade show displays or as stand-alone display fixtures. 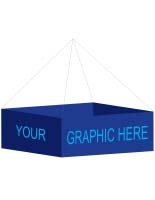 The squares come in small sets of three, all the way up to larger 10 panels grids. 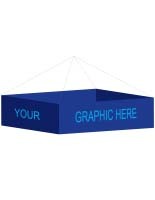 The framing for these panels is sold separately. 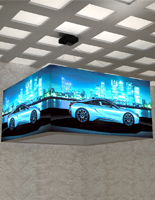 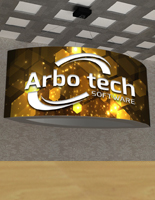 Replacement graphics are available for the majority of these display fixtures. 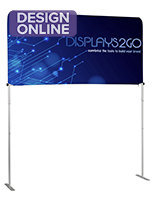 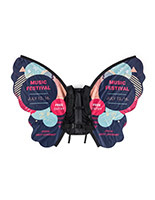 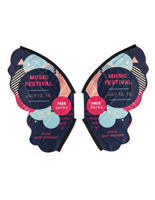 These are made to be affordable and convenient for customers to switch out signage as they find themselves at new events year after year. 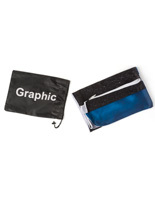 We will even reprint the same graphics to keep its bright and vibrant look. 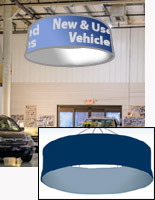 Shop online to view our large variety of custom signage, and take advantage of quick shipping and low prices!